Everything seems to be expensive on vacation, so it’s a nice change of pace to find an activity that is basically free. Celebration is a master-planned community located in Osceola County, Florida, which is about a 10 minute drive from the Walt Disney World Resort property. 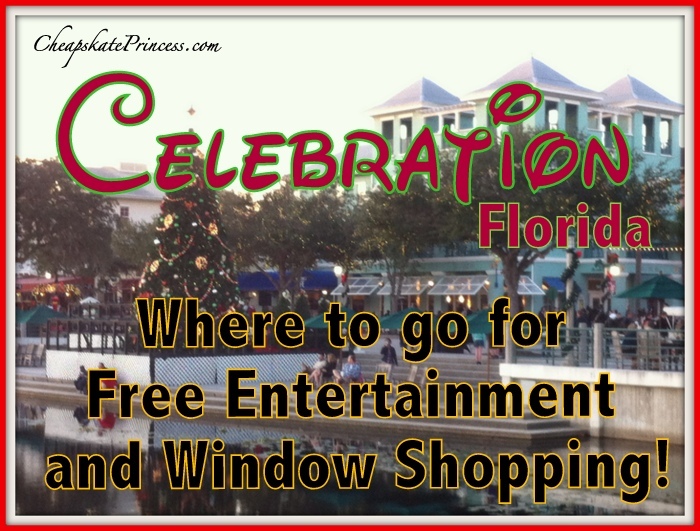 Just like Disney resort hopping, visiting Celebration is totally free, so now is the perfect time to make plans for a drive over. 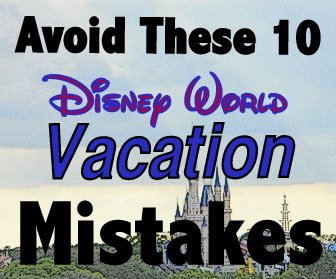 The Cheapest Disney Souvenir EVER? 51 Cents Buys You One! 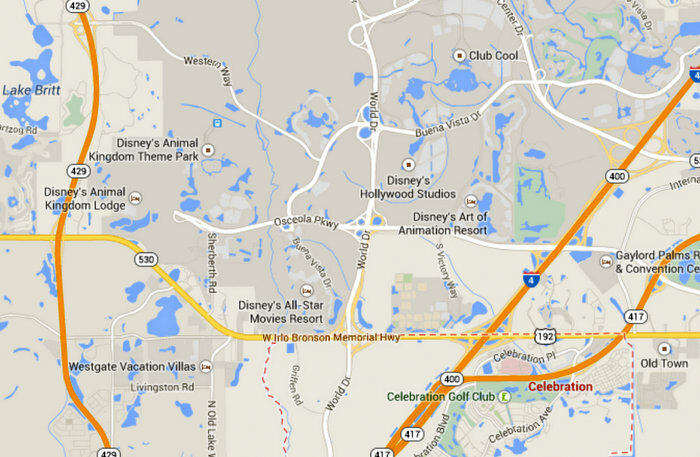 Originally developed by The Walt Disney Company, Celebration is directly connected to the Disney Resorts using one of its primary streets, World Drive, which begins near the Magic Kingdom. In the early 1990s, the Disney Development Company (DDC) established the Celebration Company to develop land in the southern portion of the Reedy Creek Improvement District. The total investment for this project was estimated to be around $2.5 billion dollars. 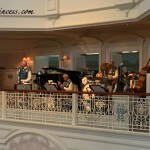 Celebration was designed in an early 20th century architectural style. It is not zoned for high-density residences, so you will not see a mass of apartments or similar styles houses all in a row. 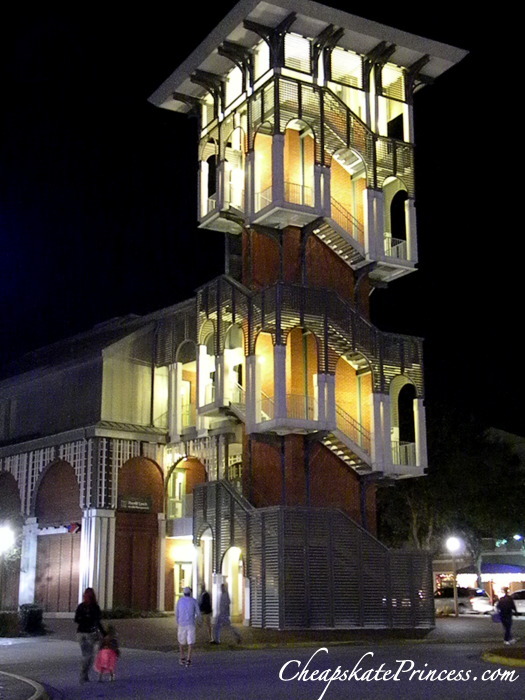 Celebration was named the “New Community of the Year” in 2001 by the Urban Land Institute. 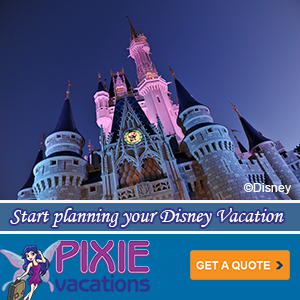 In 2004, the Disney Company sold Celebration to Lexin Capital, a private real estate investment company. 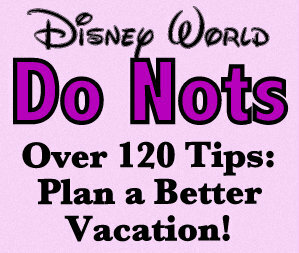 What Items Can You NOT Bring to Walt Disney World Theme Parks? While he was the Disney Company’s CEO, Michael Eisner took a special interest in the development of the new town, and he encouraged the executives at the Disney Development Company to “make history.” He wanted them to develop a town worthy of the Disney brand and legacy that extended to Walt Disney’s vision of an Experimental Prototype Community of Tomorrow (EPCOT). The Disney Development Company executives worked with leaders in education, health and technology, plus planners and architects to create the vision and operating policies for Celebration. Although you may have a hard time finding a good parking spot close to downtown, Celebration is extremely pedestrian-friendly, with a small town feel that will remind you of old-timey main streets, with homes and real businesses intermingled. Celebration’s downtown has retail shops, restaurants, a town hall, a post office, and offices among other businesses. Many of these buildings are situated along a wide promenade area which circles a beautiful lake. The downtown area is called “Market Street, and this is where you will want to spend your time unless you decide to take a walk through the neighborhoods. That is a great idea, by the way, as the architecture of the homes, some in the million dollar range, is simply stunning. Celebration does not actually have any road named “Main Street.” Osceola County, which does not allow street names to be duplicated, already had a Main Street. So the two main roads going through the center of the downtown area are named Market Street and Front Street. 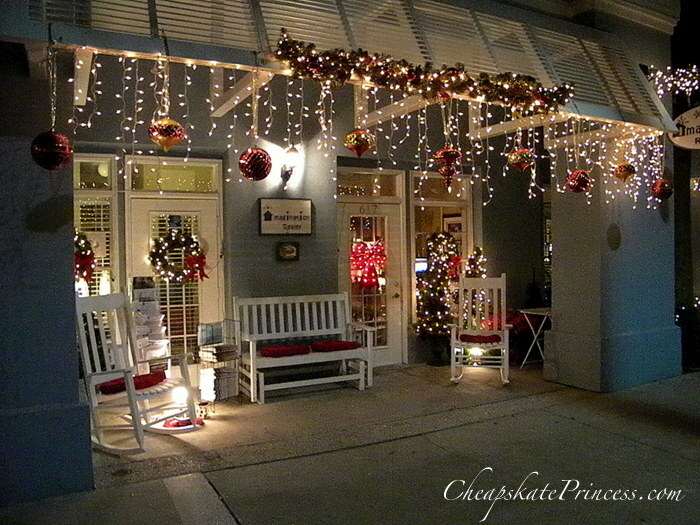 Stores are decked out during the holidays, like this realty company. 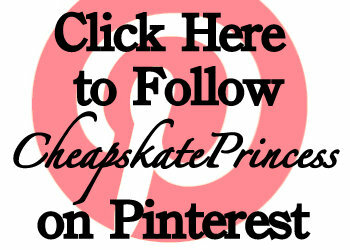 Let’s start with what won’t cost you any money. Market Street has lots of businesses perfect for shopping, or if you are a Cheapskate Princess, just do some window shopping. 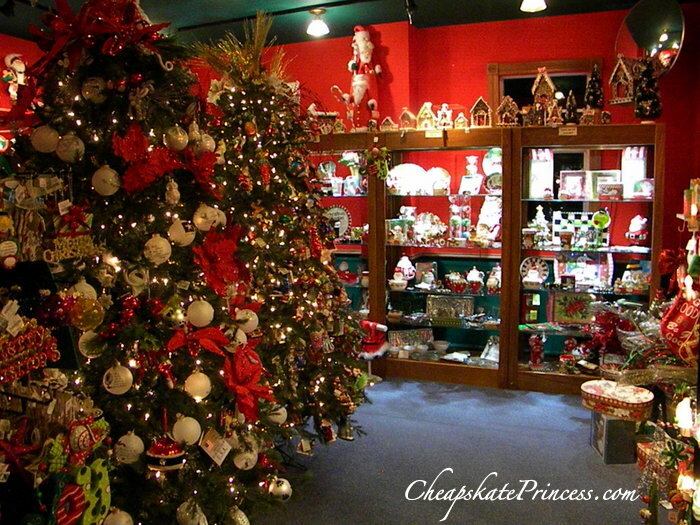 It usually takes us a good hour or two to walk in all the shops and take a look around. Enchanted Boutique offers fine apparel and fashion accessories catering to women, juniors, and girls of all ages.With some clothing custom-made just for Enchanted Boutique, you will also find jewelry, scarves, and other accessories. Enchanted Boutique offers a true boutique shopping experience. 321-939-1111. Woof Gang Bakery offers full service pet grooming, pet foods, and supplies. Specializing in healthy, natural pet foods and treats, including hypoallergenic, wheat-free and grain-free selections, they also sell a variety of fun, fuzzy, floatable and tough toys, fashionable pet accessories, collars and leads, and a wide range of pet grooming products. WoofGangBakery.com. This photo shows the doggy outfits at the Woof Gang Bakery. Soft As A Grape’s specialty is comfortable family resort wear. 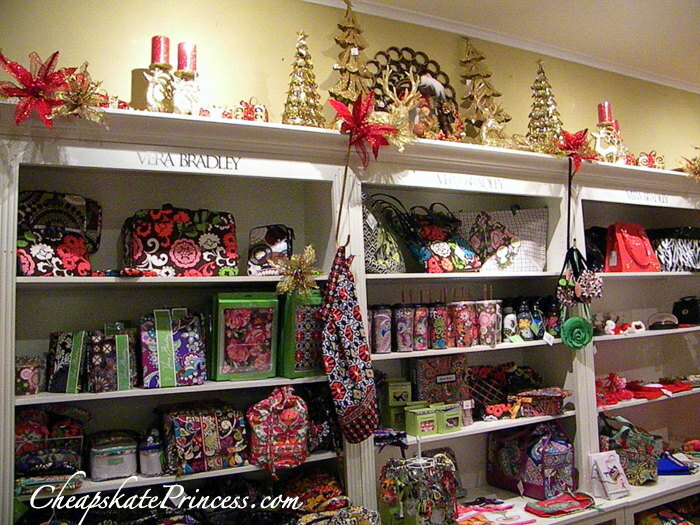 One of the original shops on Market Street, many of their unique designs are made of 100% cotton at their facility in Cape Cod, Massachusetts. They pride themselves in clothing that is soft, carefree, and most important – super comfortable. Downeast offers ladies’, men’s, and children’s clothing plus gifts including brand names like Ralph Lauren Polo, LaCoste, Corbin, Southern Tide, Bill’s Khakis, Sperry, Jack Rogers, Alden Shoes, Susanna Monaco, Milly, Ella Moss, Spanx, Vera Bradley, Caswell Massey, Costa Del Mar Sunglasses, Cavalli Sunglasses and more. There were Vera Bradley patterns aplenty for the purse lovers. Once Upon A Time features quality clothing and accessories for children from newborn to teens. They carry brands like Twirly Girl, Cheeky Banana, Rugged Butts, Kate Mack, Biscotti, Lipstik and Petit Lem, plus a number of items manufactured only for this boutique. Once Upon A Time sells dresses, tops, jeans, and shorts to swim, shoes, jewelry, accessories and hats for boys and girls alike, plus gift items, games, toys and books. They will gladly ship items home for you. 321-939-1144. Confetti of Celebration has specialty gifts, centerpieces, candy bouquets, candy, and embroidery. They specialize in parties, dinners, and meetings. If you need to send a birthday gift, they can customize any candy bouquet to your special needs. They sell many types of candies and a huge selection of Jelly Belly Jelly Beans. Sanrio Surprises is the home of “Hello Kitty” and all your favorite Sanrio characters.They offer Sanrio gifts and stocking stuffers, plus you can book a birthday party in their large party room. To liven up your experience, add a special “Hello Kitty” appearance or a ride on the Celebration Express Train. 321-939-1777. 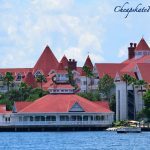 The Top 5.5 Quick Service Disney Resort Restaurants – Chosen by Our Fans! Christmas at Celebration is especially beautiful, and if enjoy looking at decorations, the holiday season is a great time to visit the stores. 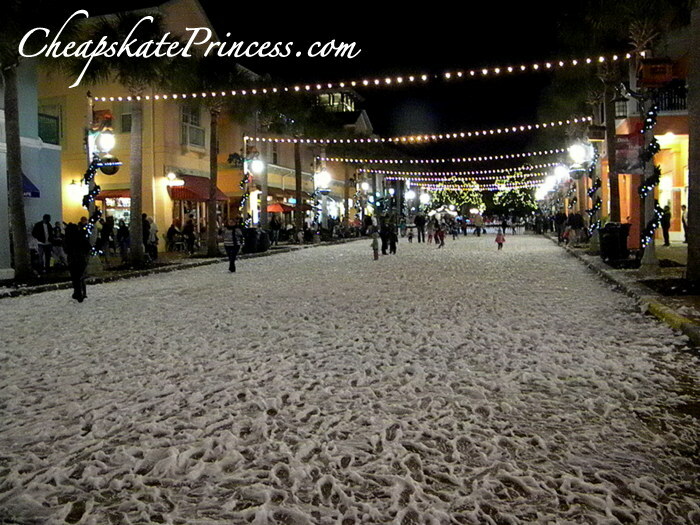 Step outside from the Christmas music in the shops to snow outside in the street. Market Street often has different events scheduled each month like antique car shows and craft festivals. For a complete list of Celebration events, use this link. This list will give you an idea of events in months past and coming up. Posh Pooch – For a howling good time, head to Downtown for a whole day of barking good fun. There are vendors, activities, demonstrations, food, performances and fun to enjoy with the entire family. Great American Pie Festival – Celebration becomes the Pie Capital of the World in April, when thousands of pie lovers, tasters and bakers gather together. The highlight is always the Never-Ending Pie Buffet, featuring award-winning pie and ice cream. Celebration Exotic Car Festival – a four-day children’s charity event that showcases North America’s largest collection of exotic cars, race cars and iconic Hollywood movie cars, coming together to help children with life threatening medical conditions. Jaguar Car Show – showcases Jaguar cars from the early 1950s to present. Hearts of Reality/Summer Sidewalk Sale – a weekend full of TV’s hottest deals and hottest Reality Stars. 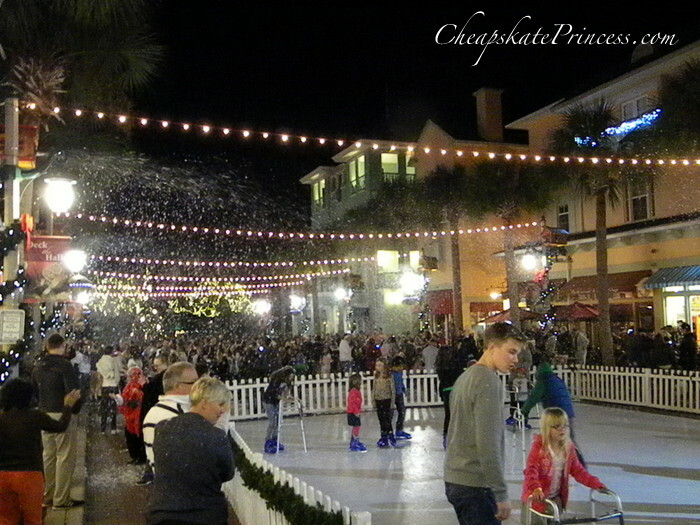 A Sci-Fi 4th of July – Celebration Town Center’s World Famous 4th of July event. Oktoberfest, where leaves fall nightly at 7, 8, and 9 p.m.
Alfa Romeo Car Show – the Mid Florida Alfa Romeo Owners Club, Inc. hosts their annual Alfa Romeo car show. 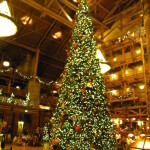 Now Snowing Tree Lighting Ceremony – November 29th – This special tree lighting event features live music, a special entrance by Santa Clause, and family fun for everyone. 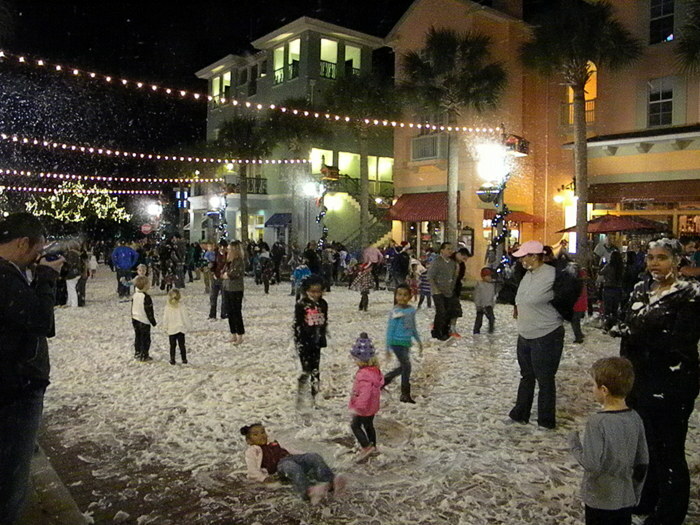 During the winter holidays, Market Street hosts an event called “Now Snowing Nightly,” where it “snows” on Market Street multiple times a night. You and the kids, even the family dogs, can walk around in the “snow.” I wouldn’t do it in your finest leather shoes though. When they announce the snow, it can get pretty busy. Kids seem to love this! Snowfall and events happen every night through December 31st, including Christmas Eve, Christmas Day and New Year’s Eve. Every night, the snow falls at 6, 7, 8 and 9 PM. 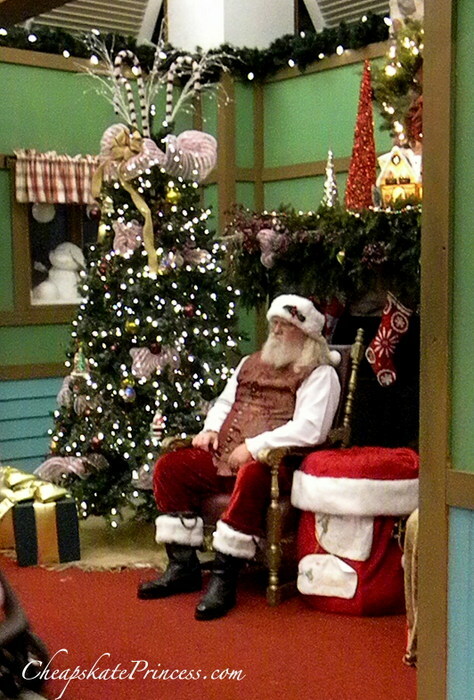 There are photos with Santa, strolling holiday carolers, an ice rink, entertainment and more. Now Snowing Nightly parking and admission are FREE. For a complete list of Community Performances click here. Watching is free, but you’ll need to rent skates. This is “Disney” ice, by the way, so it’s not actual cold ice, and thus the ice skates will not be dangerous to smaller children. 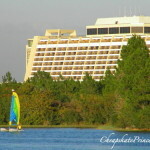 3 Days with No Orlando Theme Park Tickets; How We Survived and Thrived Almost for FREE! Prices depends on the package purchased, and Santa will only be available until December 24th. For information on Santa photos visit: towncenterphotos.com. 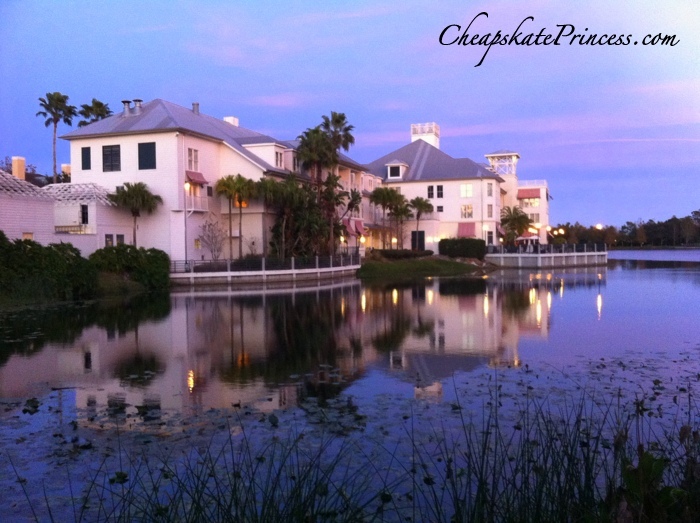 Take a walk along the Lakeside Promenade or on the miles of walking paths and nature trails. These are especially nice as the sun is setting. Head over to the large interactive fountain by the lake, where if it’s warm, the kids can splash around. Some still splash around even when it’s not so warm. There are numerous rocking chairs by the lake. These are hard to come by in the busier seasons, like when the holiday snow is falling, but they are comfy and the lake view is peaceful, especially at sunset. 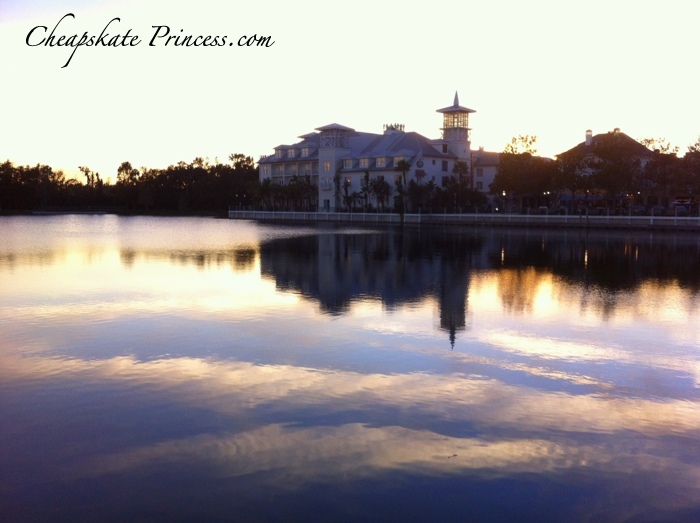 One of the most visually stunning buildings on the lakefront is the Bohemian Hotel Celebration. You can take a seat in one of the lobby chairs, and for a splurge, order a coffee or a drink at the bar. 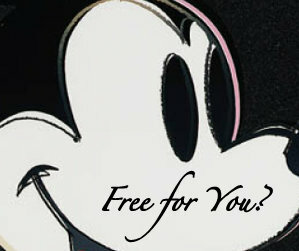 FREE Entertainment in Orlando? 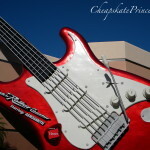 You have Simply GOT to Visit The Mall at Millenia! 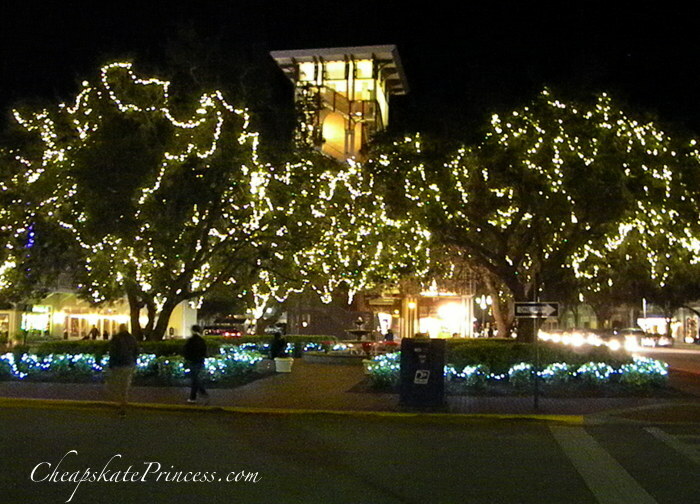 At Christmas, the decorations at night on Market Street are just lovely. There are a lot of restaurants in Celebration. The downtown atmosphere is fantastic at night, with many outdoor tables enveloped in soft lighting. 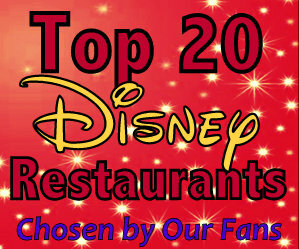 Enjoy a meal in one of the award-winning restaurants. Euro Bistro offers a wide variety of affordable menu items to select from. Tapas, very popular in Spain, are smaller servings that allow you to select several different items to snack on or combine a few items to make a full meal. Imperium Wine Room is a 100 seat bar offering the highest quality food and wines with a 50 seat patio. 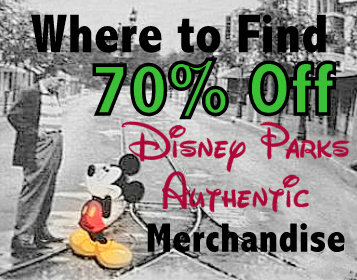 Disney employees receive a 10% discount with ID. 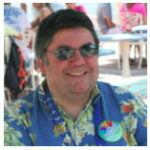 mperiumfoodandwine.com. Market Street Cafe is an upscale diner concept that serves breakfast, lunch and dinner seven days a week. Favorites range from blueberry pancakes and maple butter french toast at breakfast to homemade meatloaf and hot open face turkey sandwiches for lunch and dinner. Breakfast is available all day, and signature desserts are made fresh daily. Market-Street-Cafe.com. Thai Thani Restaurant was established by a retired Deputy Permanent Secretary of the Thai Ministry of Commerce. This restaurant was opened to enhance the Thai Government policy to promote Thai food as a leading cuisine of the world. thaithaniorlando.net. Upper Crust Pizza features two types of pizza, thick Sicilian style and traditional New York style, both with a variety of toppings. Panninis are filled with items such as Tuscan chicken, steak, cheese, and vegetables. An open-faced calzone called a “Crusti” is a hand-made delight stuffed with meatloaf, steak, Greek Salad and other items. There is a rotating menu of dessert pizzas including chocolate and apple cinnamon. 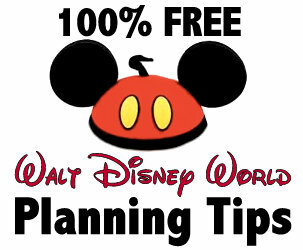 What Are the Best Times to Visit Walt Disney World? For less expensive snack and meal options, there are several “sweet shops” that will be quicker than a table service meal and less expensive as well. 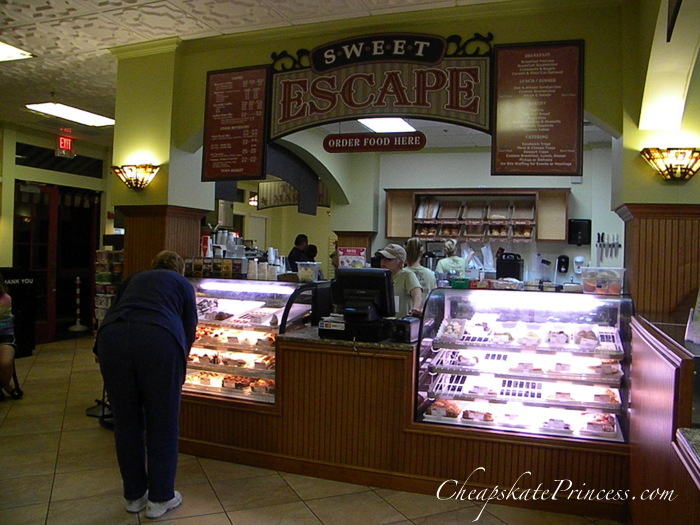 Sweet Escape is an authentic European Style Bakery & Deli in a Victorian environment. In the bakery, there are fresh-baked breads, pastries, desserts, and cupcakes all made fresh daily. In the deli you’ll find breakfast, lunch, and dinner sandwiches featuring Boar’s Head meats and cheeses. In the café you’ll find locally roasted coffee including Italian Espresso, specialty coffee, frozen coffee, and iced coffee. You can also purchase 100% fruit frozen smoothies. 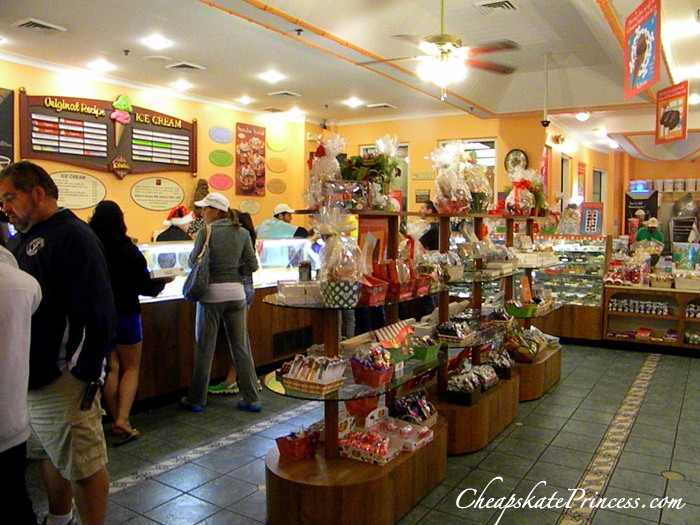 Kilwins offers confectionery chocolates and ice cream. kilwins.com. This was one of my favorites! 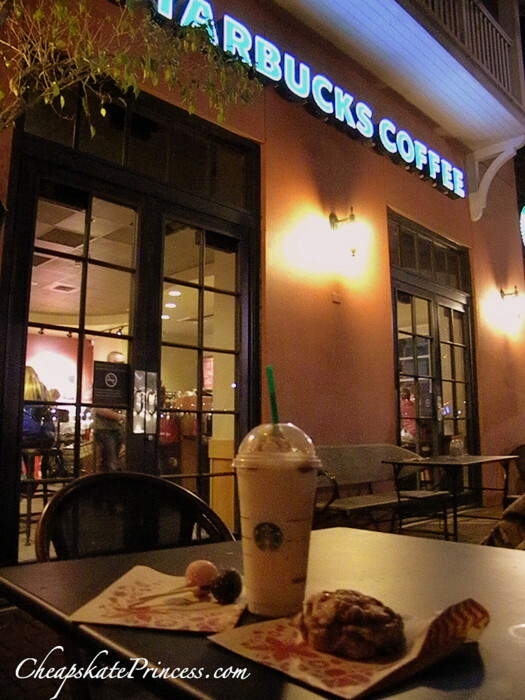 The Starbucks just across from Market Street is mid-size with plenty of seating. There is a nice outdoor area. We bought some inexpensive cake pops and a pastry, and then we watched families line up to see Santa. starbucks.com. This store has T-Mobile HotSpot wireless broadband Internet service. Looking for a special occasion treat? 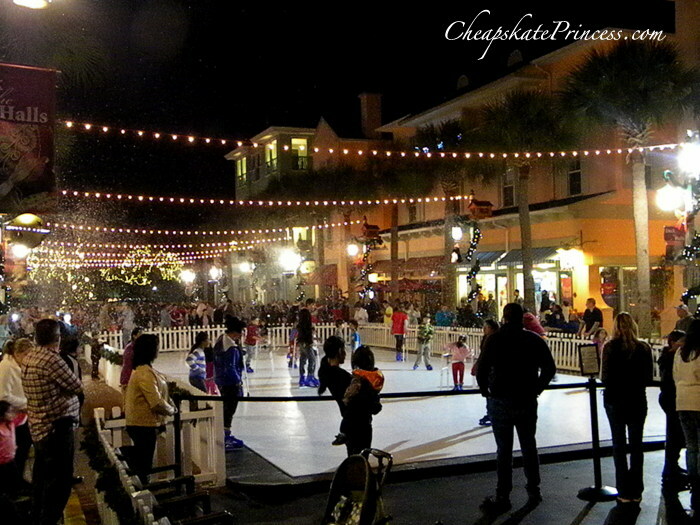 Misty Blue Acres Carriage, the official carriage company of Celebration Florida, offers carriage rides every Friday, Saturday, and Sunday evening from 6pm – 10pm. Providing a carriage hitched to either team of percheron horses, they are available for weddings, two-horse carriage and single horse carriage rides, hay rides, birthdays, Halloween, sleigh rides, Christmas rides and holiday parties. mistyblueacres.com. U Can Cook is an all-inclusive Culinary School where the young and the young-at-heart can learn to cook. Their classes are designed to teach the basics on food preparation, food safety skills, proper etiquette, the skilled art of layering flavors and planning parties.They will also host an array of engagements. 407-233-0948. 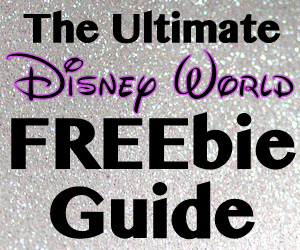 Where to Find FREE Disney World Snack and Drink Samples! Thanks for stopping by, and we’ll see you headed over for a celebration at Celebration! 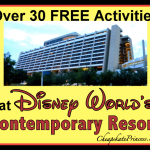 Christmas Holidays at the Disney World Resorts…Where to Find the FREE Stuff!